London Comic Con is so last season, as MCM Birmingham Comic Con is coming. Cary Elwes, best known for The Princess Bride, is the latest guest to be announced for MCM Birmingham Comic Con. 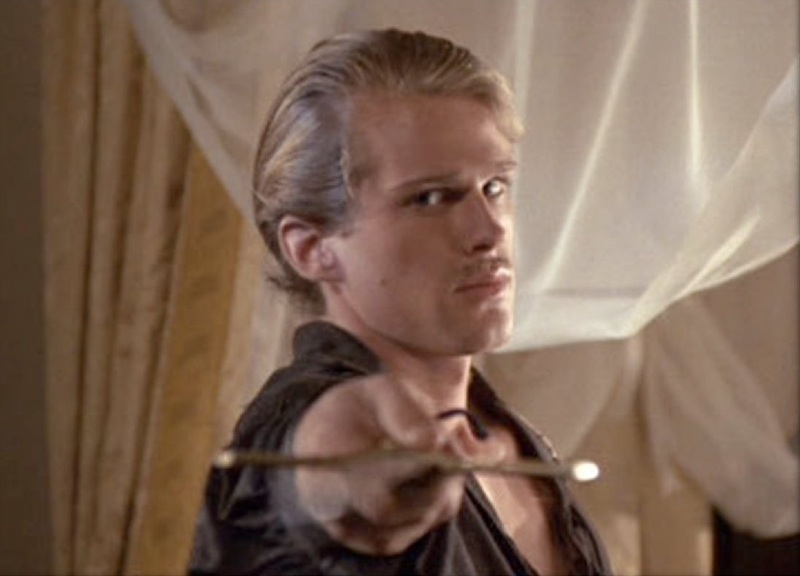 As well as swashbuckling his way into cinematic history as Westley, Elwes has a host of credits to his name, appearing in everything from Saw and Bram Stoker’s Dracula to Liar Liar and Robin Hood: Men In Tights (“Unlike some other Robin Hoods, I can speak with an English accent.”), not to mention Hot Shots! Cary Elwes will be joining a host of other stars from the world of science fiction and fantasy. Chris Barrie, Danny John-Jules, Robert Llewellyn, Hattie Haybridge and Chloe Annette from Red Dwarf have already been announced. Also in attendance will be Honor Blackman from Goldfinger and the Avengers (the TV series not the film), RJ Mitte from Breaking Bad, Hannah Spearitt from Primeval, as well as dozens more. As well as their special guests, MCM Birmingham Comic Con will include the best dealers from across the UK, a plethora of comic artists and writers, the stunning cosplay masquerade and the awesome robots from Robot Wars! MCM Birmingham Comic Con will be held on the 22nd and 23rd November at Birmingham NEC. Tickets are available to buy in advance from the website.